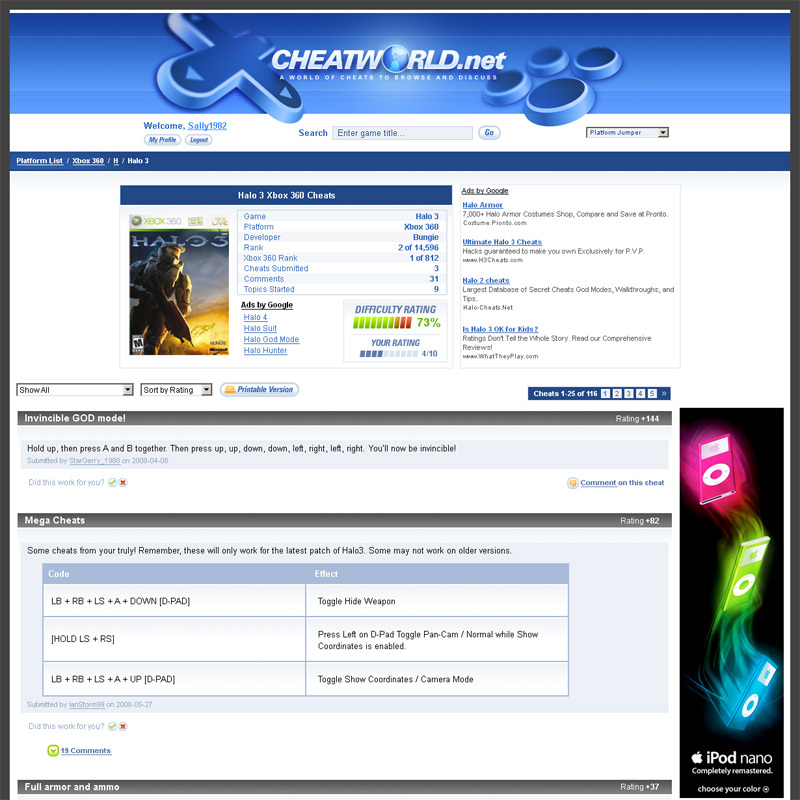 CheatWorld.net is a cheats repository for games from a variety of gaming platforms, such as Xbox, PS2, PS3, PC, Wii, and so on. We worked with the client to design the interface for the whole site. Sample of CheatWorld.net website, which we designed.